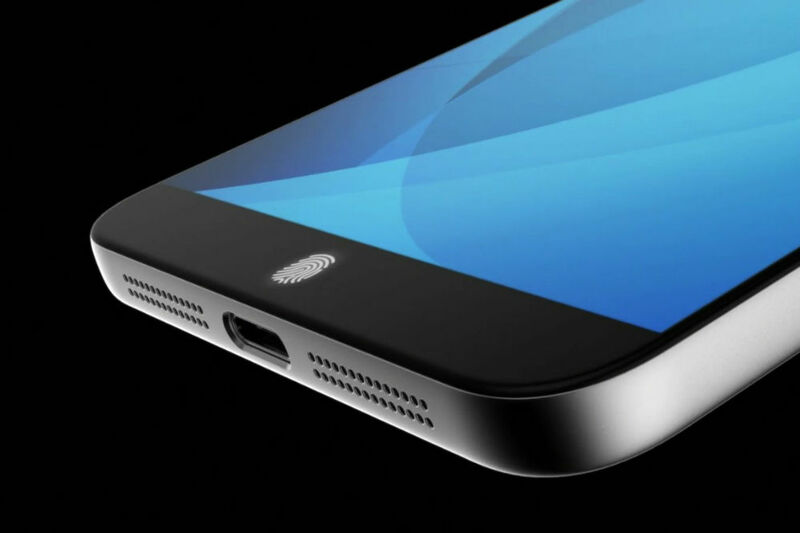 Synaptics announced the Natural ID FS9100 optical fingerprint sensor this morning, and given how much the internet and its citizens love a good hypetrain, it is reported that we may see this technology used in the upcoming Galaxy S8. While neither Samsung or Synaptics have announced such a thing, there’s always the possibility. The FS9100, as described by Synaptics, allows OEMs to produce smartphones and tablets with extremely minimal bezel, thanks to the optical sensor’s ability to read a fingerprint (even a very wet fingerprint) through 1mm of full cover glass, as well as curved glass. If you already put 2 and 2 together, you can see why people are hyping this as the possible sensor to be used on the Galaxy S8, as it’s been reported multiple times now that Samsung intends to ditch the home button and place the fingerprint reader underneath glass on the frontside. Here’s a statement from Les Santiago, research director for IDC. By bringing optical sensing technology with the right form factor and power consumption envelope to smartphones and tablets, Synaptics is enabling the elimination of the home button which is a critical next step to full top-to-bottom, edge-to-edge smartphone and tablet displays. Now, there is one aspect to the FS9100 that could allow for anyone to argue against Samsung’s usage of it. According to Synaptics, this sensor won’t hit major production until Q2 of next year. The Galaxy S8, on the other hand, is currently reported to be announced in February (MWC timing), with launch around April. The timing we aren’t completely sure about right now, since Samsung hasn’t said anything, but it is something to keep an eye on. For all we know, Apple could use this in the iPhone 8. It’s pure speculation. Regardless of whether the FS9100 is to be used in the Galaxy S8, the technology sure does look slick.